Ocado divides opinion within households – and it is no different for market investors. In one corner, bulls believe its truly unique mix of business features – transport and logistics, tech and retail – could justify almost any stock valuation, and could even make it a palatable takeover target. In the other corner, bears paint the picture of a business that is economically unsustainable, given the heavy capital requirements that supply chains actually need – where transport and logistics, tech and retail features should be separated. Analysts at Barclays and UBS are the latest to have joined the bear camp, having downgraded Ocado’s shares to 290p and 425p, respectively. As you can see from these recommendations, even the bears struggle to agree on fair value. One key element of its broader offering is represented by Ocado Smart Platform (OSP), which is a big bet for this £1.5bn online grocer. Ocado says: “We run large warehouse operations, our customer fulfilment centres (CFCs), where all stock is received and held, and all customer orders are picked. The grocer is growing its top-line in a recessionary environment where the big four UK food retailers are struggling to retain market share. Its performance is inspirational, in my view. It went public in mid-2010, and its stock has appreciated almost 9% a year since, despite challenging conditions. And while there seems to be more growth embedded in the business, I wonder whether it should spin off its tech division into a ‘hi-tech laboratory unit’, offering services via a fully or partly controlled subsidiary. After all, it is an online grocer with sales over £1bn that plans to offer solutions to other grocers and retailers – which essentially compete in a sector that has low barriers to entry, aside from invested capital. As a platform and logistics vendor, it captures the needs of a niche trade that might not be able to commit millions to IT development, but Ocado needs to join forces with bigger partners – and most of them want to control the know-how and the data, investing in innovation rather than teaming up with third parties in order to eliminate or significantly reduce the costs incurred in traditional grocery retail operations. In this context, Ocado has developed some proprietary mechanical handling equipment (MHE) that is now the subject of “filed and planned patent applications and other intellectual property rights.” Potential partners would be reassured to hear that the patent has been granted… unfortunately it hasn’t. Ocado said that as at the end of 2015, it had filed patent applications covering “32 separate innovations, bringing the cumulative total number of patent applications filed to 73, of which 25 have so far been published”. MHE is a key part of Ocado Smart Platform (OSP), which includes all its last-mile operations software, including home delivery and pick-up services. Ocado adds that MHE is controlled by “proprietary software and algorithms, offers significant advantages over other physical MHE available” and has been specifically designed to cope with the challenges presented by grocery activities, which are characterised by huge volumes, multiple product lines, and irregular demand patterns. Cambridge Consultants has teamed up with the company on its warehouse automation project, and argues that the technology breakthrough is enabling Ocado “to control 1,000 machines, communicating with them 10 times a second, all within an area the size of an Olympic swimming pool”, while its scalability means it could potentially handle 20 times the number of movements. Much of Ocado’s fortune now hinges on how OSP will perform this year in the market – and the top priority is now finding an international partner. But that search has so far left investors with a bitter taste. Ocado has a long-standing contract with Morrisons – the first customer “of our broader platform, utilising our technology solution and existing infrastructure facilities to launch and operate Morrisons.com”, but it needs greater scale to deliver more rapidly rising returns, given its cash flow profile, rising capex needs and rising net debts. And its partnership with Morrisons indicates problems that Ocado may face. It was “launched in a very short time-frame with attractive cost economics and best in class service metrics”, Ocado reiterated in its annual results. In truth, the deal – signed in mid-2013 – came under the spotlight in early 2015 because Morrisons had to invest £200m in a 25-year partnership which may or may not last that long: the Ocado deal was one of the first issues that the new chief executive of Morrisons, David Potts, tried to tackle when he took office one year ago. Not only is the relationship with Morrisons tense, but there are only four years remaining on the sourcing contract with Waitrose, its historic partner. 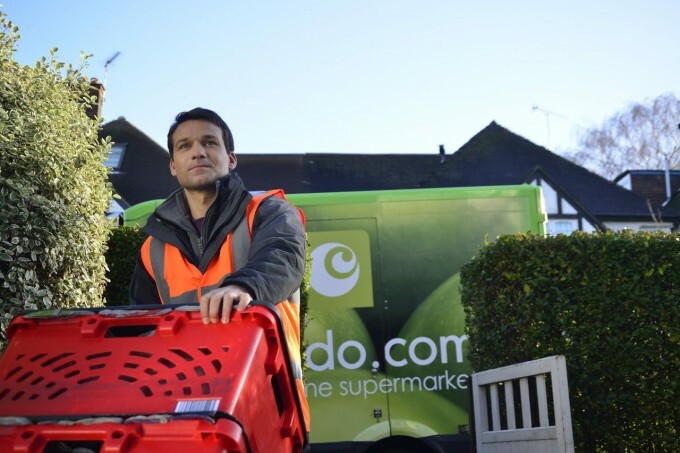 Through the application of proprietary technology, software and algorithms, Ocado said it optimises end-to-end operations – essentially the entire life cycle of our shopping experience. To capture and retain consumers, however, the overall level of investment doesn’t justify its transport and logistics cost base, although it might prove adequate if Ocado is capable of diversifying its funding sources. So, it might have to prove that it can raise $100m of equity or equity-like capital if it doesn’t find a partner, and in the process it cannot afford to dilute excessively its shareholders. As a reference, its stock price currently trades at 94-times forward earnings. “While we did not hit our target of signing our first deal in 2015, we remain confident that there is significant appetite for our Ocado Smart Platform among international retailers,” Ocado argues. I do not think it impossible that Wal-Mart – whose trading update last week was rather soft domestically – might decide to dispose of its UK Asda operations, which have struggled to cope with a price war and need to cut costs to preserve profits. If so, would Asda be a viable partner for Ocado? There aren’t many options, really, either in the UK or internationally. At a time when market leader Tesco is rumoured to be looking at Morrisons – while Sainsbury’s is also whispered to be ready to pay over the odds for Argos owner Home Retail, which received a solid £1.4bn offer from South Africa’s Steinhoff on Monday – Ocado is in the difficult position of having to bulk up and find partners. The most likely suitor is Amazon, but it is also its closest threat, and seems more likely to invest in controlling the supply chain than merely buying into it – which its deal with Royal Mail proves. The Guardian wrote at the end of last year that Amazon was preparing “to crank up the pressure on Britain’s struggling supermarkets by dramatically expanding the range of grocery products it sells”, and Amazon has now launched Prime Pantry, with a limited selection of groceries. Ocado is the world’s largest online-only grocery retailer, Cambridge Consultants says. It ships more than 2m items every day to consumers around the UK, but it anticipates that capital expenditure in 2016 will be approximately £150m, including the expenditure for “CFCs 3 and 4, and the increased costs for further development to our infrastructure and technology solutions”. The capital expenditure requirements for any OSP deals are not expected to be significant in 2016, and that is good news given that capital expenditure was much lower at £122.1m in 2015 and £86.4m in 2014. Last year, it reported negative cash flow of about £40m – given its latest gross cash balances, it has about 16 months to either find a partner or the cash to fund its ambitious plans.